Almost 1,200 new Redrow homes are planned across four North West sites as the homebuilder looks to expand its business. The developments will have a combined finished worth of almost £360m and, along with new homes and jobs, will provide a wealth of community benefits. Perhaps the most significant of the new schemes is the one closest to home for Redrow – the company has plans for 850 new homes on a 77-acre site adjacent to its divisional headquarters in Daresbury, near Warrington. As part of its Daresbury plans, Redrow will be investing £8.5m in the community; including the creation of a new local centre, highway and public transport improvements, open space provision and affordable homes. The homebuilder also has plans for a new phase of 107 homes at the flagship Woodford Garden Village project, plus an additional 77 homes in Sandbach. Over at Allerton Priory, in Liverpool, Redrow plans to build 160 new homes across 16.3 acres. More than £1.1m will be invested in public transport, with additional funding allocated for greenways walking and cycling routes. A payment of more than £500,000 will be made for offsite affordable housing. 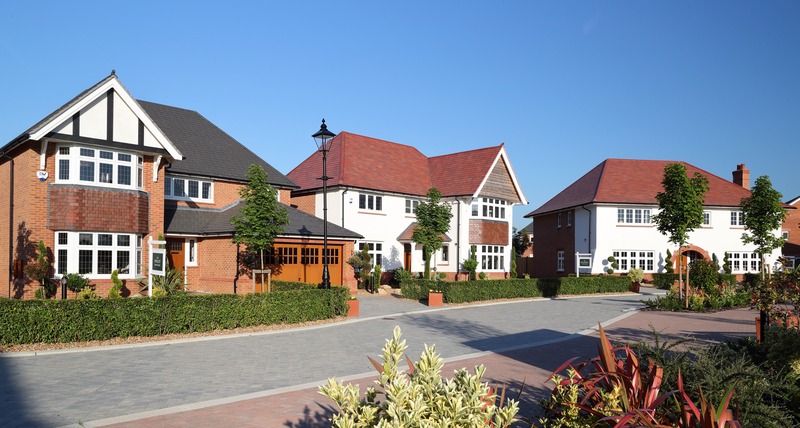 As part of the wider Woodford Garden Village scheme, on the site of the former aerodrome, Redrow has committed funds for the local community worth a total of £9.6m, including a £3.5m primary school, improvements to local transport provision, roads and footpaths, plus a contribution towards affordable homes. This latest phase of 107 homes at Woodford will be built across 8.9 acres of the 500-acre site and will include 13% affordable housing provision. Over in Sandbach, 30% of the 77 homes in the new phase will be affordable housing, with £70,000 due to be invested in the local community. The first properties on the 4.2-acre site are due to be released for sale this spring/summer. Linked to the Allerton Priory scheme, Redrow will fund £40,000 worth of ecological offsite mitigation and replant trees on Woolton Road.